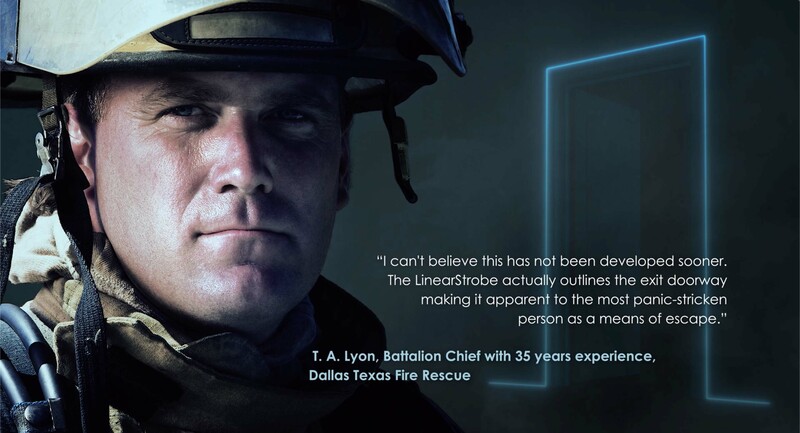 The LinearStrobe™ is a new tool for Firefighters and Emergency Personnel to: SEE THE EXITS During the Crisis. Today’s turnout gear allows firefighters to go further into the buildings than ever before. The deeper they go, the more important it becomes to know where the exits are. Firefighters risk themselves for others and deserve the best Possible OPPORTUNITY to Survive “every” fire! 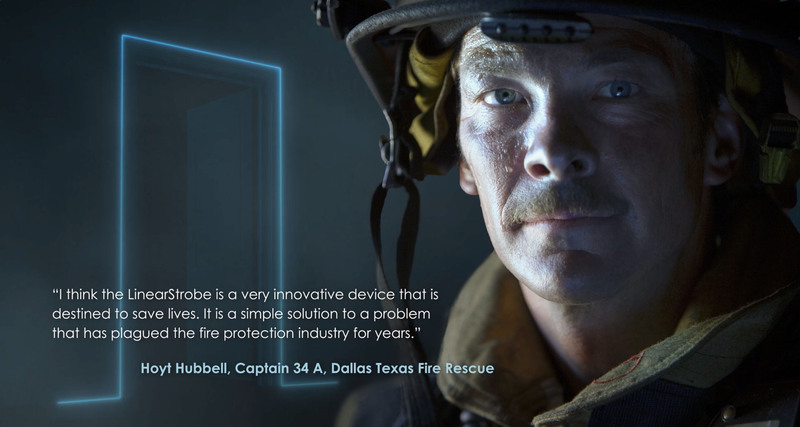 Regardless of the model or type of LinearStrobe™, when firefighters arrive at a structure fire, chances are that they have never been in the space before. In those critical moments, while they are maneuvering in and out of those unfamiliar surroundings, all types of the LinearStrobe™ can provide them with a visual signal that identifies the exit exactly when and precisely where they need it most. 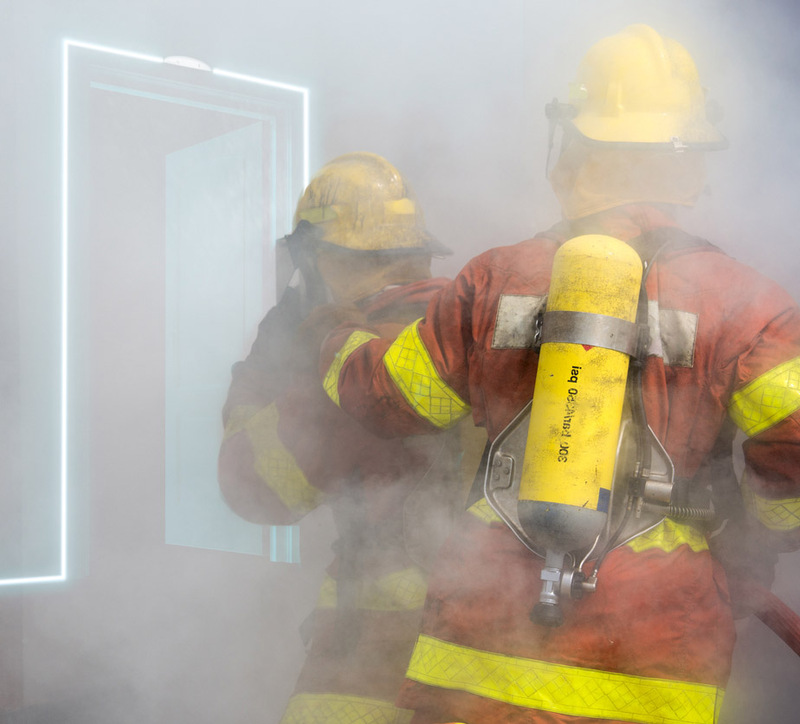 The Single-Station LinearStrobe™ is also activated by the sound (frequencies) of most PASS devices* to quickly identify the exit for the Firefighter in crisis; which could be particularly important for RIT team members to quickly and easily locate the exit points below the smoke layer when in rescue mode. 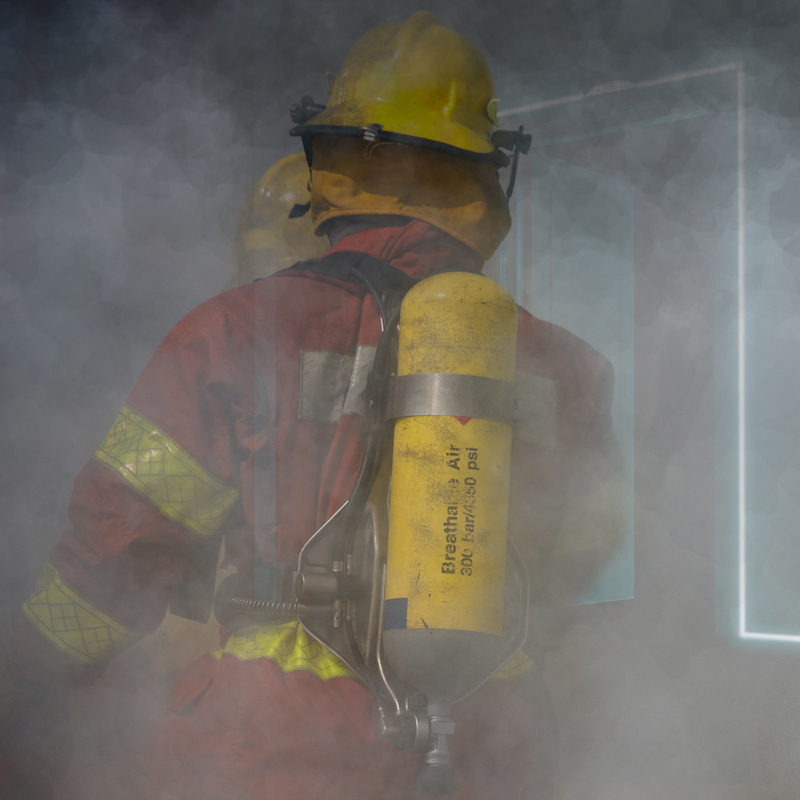 *Always test and verify your department’s equipment with the S-LinearStrobe™ to ensure safety and proper configuration with the S-LinearStrobe™. In addition to rigorous NRTL lab testing, LinearStrobes were also tested in live burn-down exercises in CA and TX. In 2010 and 2011, the developers of the technology participated in the burndown of a structure in northern California with over 80 firefighter participants throughout the day of training. The entire group was amazed at what the LinearStrobe™ could mean for them and their most common response to seeing the LinearStrobe™ in action in a real fire setting was, “If only these were in every building we enter, I could look over my shoulder to see the exits under the smoke; and it would make a huge difference for me” (i.e. the firefighter). The devices withstood long-term temperatures exceeding 800 degrees and worked flawlessly for over 8 continuous hours of training. Rigorous NRTL Lab testing proved positive that the devices are durable, safe and worthy of the ETL marks (UL) that they bear.